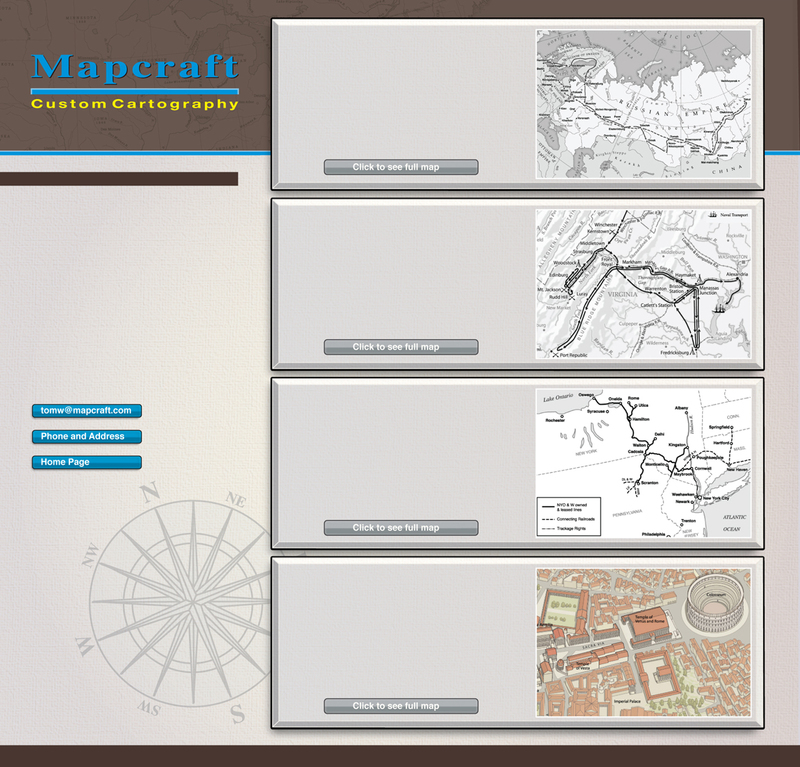 Mapcraft has produced a number of maps for publishers from around the world. The range of published projects includes: campaign maps for brigade histories of the Civil War; route maps for railroad histories; detailed diagrams of Greek temples and other sites; and, perspective views of ancient cities that were used in a high school history atlas. This page contains a variety of textbook map projects, including views of 18th century Siberia, Budapest in 1848, early trails through the Rockies and detailed archeological plans of ancient Greek temple sites. Mapcraft has created maps of Civil War campaigns, a highly popular historical subject, for a number of publications. Many of these maps were made for special brigade histories and were designed to highlight the movement of individual brigades within the context of the larger campaign. This page contains a sampling of historic railroad route maps that were prepared for use in various railroad history texts. Mapcraft has produced an extensive series of route maps for railroad corporation histories published by the University of Illinois Press. This page contains a series of ancient city perspectives completed for a high school history atlas. Also seen here is a cutaway of a 19th century foundry from a history of the Welsh in Ohio, and an illustration of French colonial soldiers produced for an exhibit at Chicago’s Newberry Library.